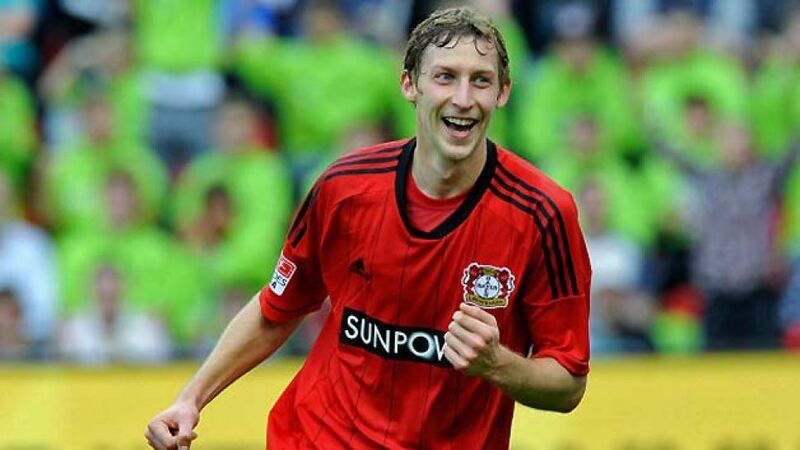 Wolfsburg - Stefan Kießling will be hoping to maintain his rich vein of form when Bayer 04 Leverkusen travel to lowly VfL Wolfsburg on Sunday (kick-off 15:30 CET). The Werkself striker has six Bundesliga goals to his name already this season, with fourth-placed Leverkusen now unbeaten in twelve matches in all competitions. Ominously, Kießling also has a habit of finding the net against Wolfsburg, with three goals in his last three games against them. "A lot of things are working better now than they were at the start of the season," said sporting director Rudi Völler of Leverkusen's turnaround in form. "We don't give much away and are also creating plenty of chances. And we've won games through sheer passion, like against Bayern and Bielefeld." Indeed, as the only side to beat Bayern in the league this season, Leverkusen are emerging as genuine contenders for one of the four UEFA Champions League places on offer. "We want to consolidate our position and maybe even climb a little higher," added Völler. "We want to make use of our good form." The form guide certainly favours the visitors for this one, with hosts Wolfsburg currently languishing in the bottom three. Back-to-back wins in the league and DFB Cup followed Felix Magath's dismissal, but defeat to 1. FC Nuremberg last time out only served to highlight the enormity of the challenge facing interim coach Lorenz-Günther Köstner. "We're all aware of the magnitude of the task and want to and, of course, need to improve on our recent form," the 60-year-old affirmed. "We're optimistic that things will take a turn for the better before too long, but we have to be honest - we're in a very difficult situation." Notwithstanding the Wolves' plight, Leverkusen co-coach Sami Hyypiä expects another tough assignment at the Volkswagen-Arena and has warned against taking the home side in any way lightly: "Wolfsburg are a very good team with excellent players. It will be tough for us [...] It's dangerous to get complacent at this stage in the season." Hyypiä is without long-term absentees Michal Kadlec and Daniel Schwaab and will also have to factor-in a possible UEFA Europa League hangover, following his side's 3-0 win over SK Rapid Wien on Thursday. Wolfsburg coach Köstner, meanwhile, may have to do without Vieirinha and Srdjan Lakic, who both picked up knocks in training earlier in the week.